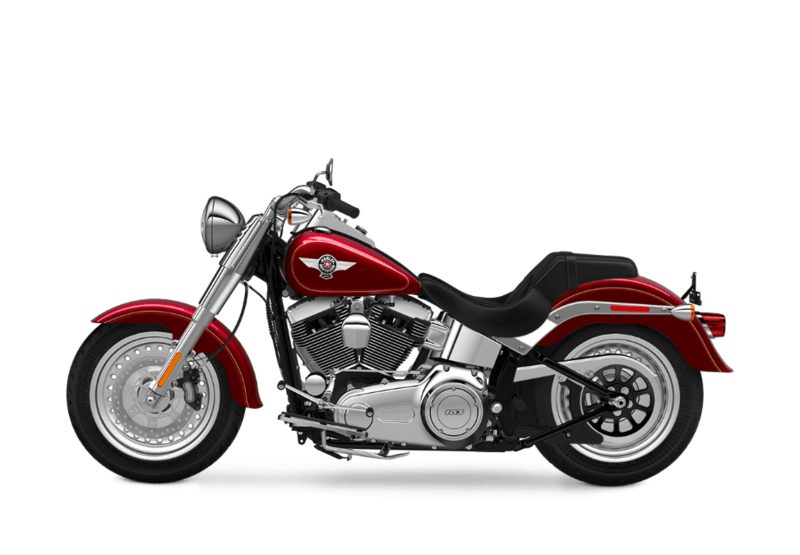 The Harley-Davidson® Fat Boy® is an important part of the Harley-Davidson® Softail® lineup. 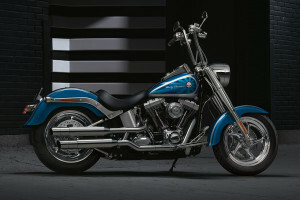 With its oversized tires and wheels, beefy fork, and a wide, low profile, the Fat Boy® embodies pure fat custom style. 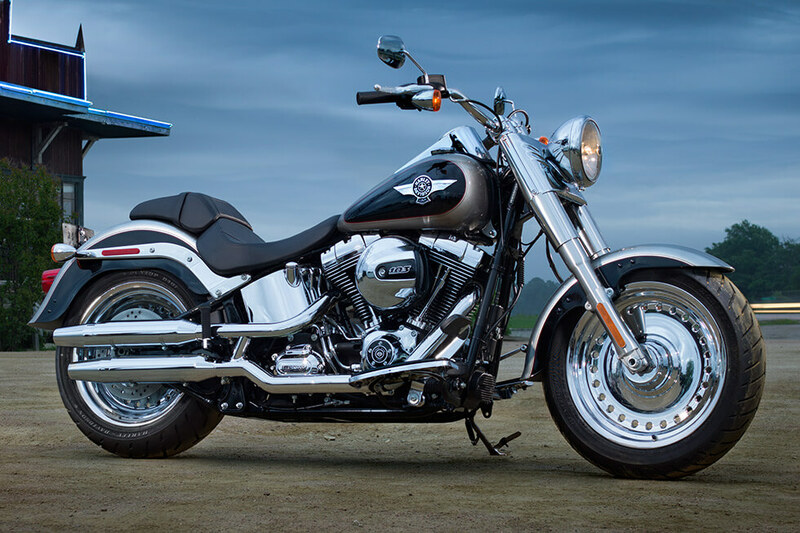 If you’re interested in this head-turning bike, then you can visit Riverside Harley-Davidson® in the Los Angeles and Inland Empire, CA area to find out more today! 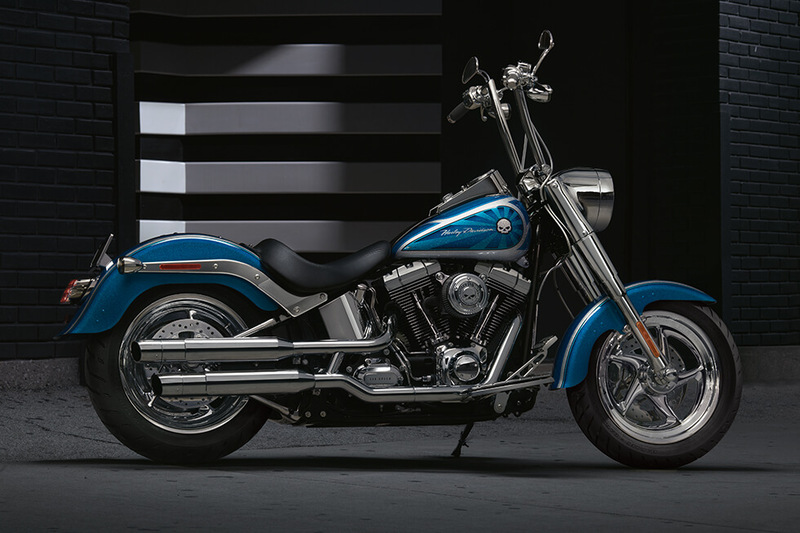 For 2017, the Fat Boy® features a number of new design details that add a ton of attitude and classic style. Wider, lower, and longer, this big bike has a look that’s all its own. Fat Features: The big tires measure 140mm up front and 200mm in the rear. They’re wrapped around 17-inch silver, cast aluminum wheels with bullet-hole detailing. 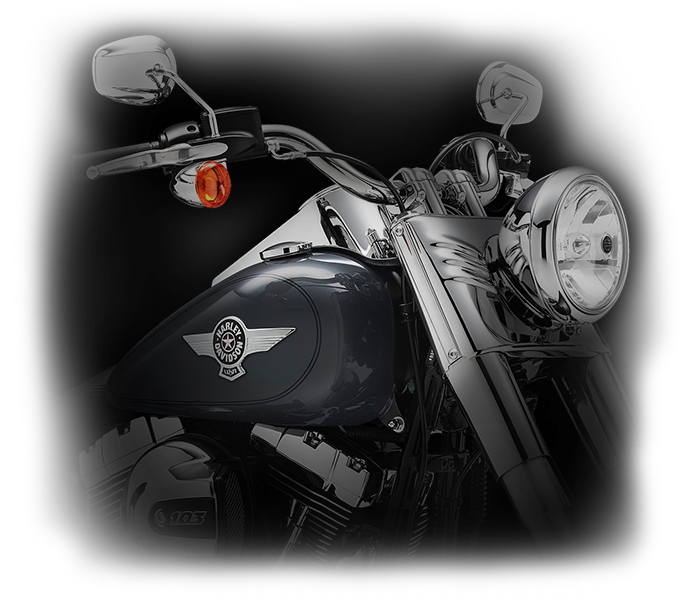 Wide handlebars, fat forks, and a large mirror chrome tank medallion combine to present a classically bold profile. 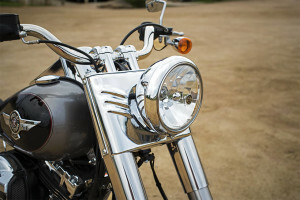 Fat Custom Style: Recalling the “hardtail” choppers that ruled the streets back in the 60s and 70s, the Fat Boy® draws a lot of attention, whether parked or rumbling down the road. If you crave that classic laid-back riding style, you’re going to love this bike. Fat Custom Tank Details: The fuel tank sports a chrome medallion, leather tank strap, and chrome ignition switch console. It really shines, and your speedometer, tach, odometer, and trip computer are all big, bold, and easy to read. 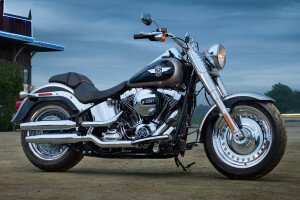 Hidden Rear Shocks: The Fat Boy®, along with all models in the Softail® lineup, comes with a hidden rear suspension that gives the bike a strong, rigid look and all the smooth, comfortable riding dynamics you want. The standard engine is a robust High Output Twin Cam 103B™ V-Twin that you can count on for reliable performance mile after mile. Pure Harley-Davidson® Styling: The big V-Twin 103B™ sports black powder-coated heads, chrome rocker covers, and machined cooling fin tips. 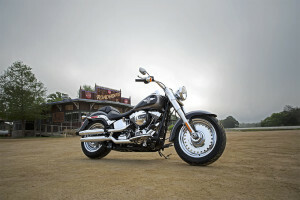 It’s a big, powerful engine that’s packed with authentic Harley-Davidson® style. Six-Speed Cruise Drive® Transmission: Designed to work seamlessly with the engine, the Six-Speed Cruise Drive® Transmission provides remarkably smooth shifting. It also reduces engine speed when you’re cruising the highway to improve efficiency and give you a steady, even ride. New Air Cooled, High Output Twin Cam 103B™: Engineered to maximize efficiency, reliability, and performance, this burly V-Twin is the product of over 100 years of dedicated research and development. It stands as a testament to the passion of Harley-Davidson® engineers. New High Output Twin Cam 103B™ Engine Power: With a boost in torque and faster roll-on at highway speeds, you’ll find that passing big rigs will be no problem at all. 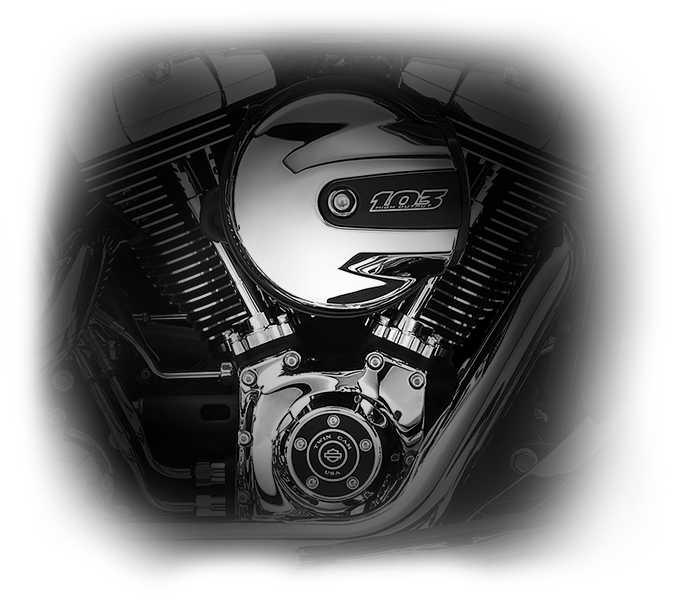 The V-Twin 103B™ delivers all the raw power you could ask for. 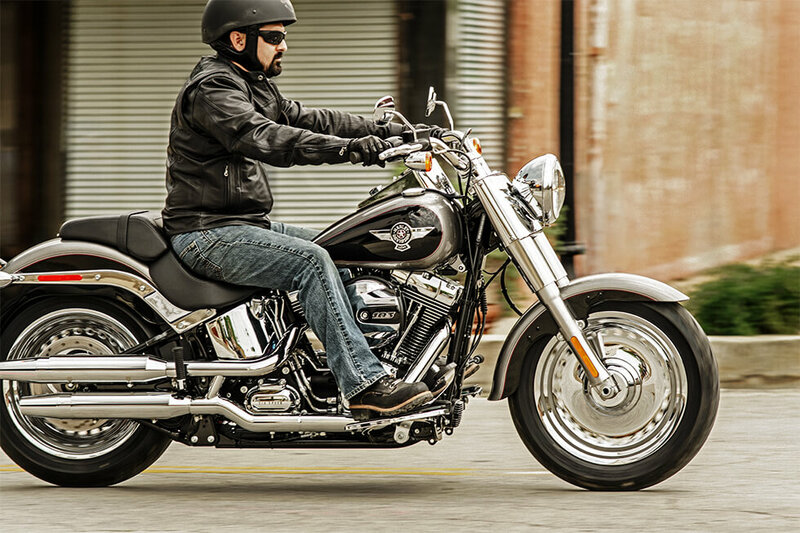 You get the latest motorcycle-specific technology when you’re in the saddle of the Fat Boy®. 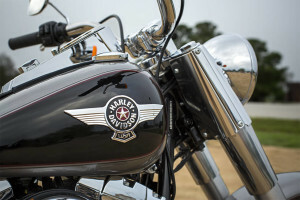 It’s a classic chopper that doesn’t sacrifice modern features. 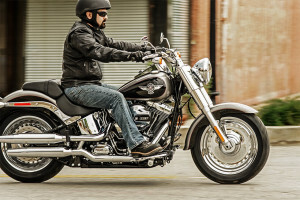 Anti-Lock Brakes: An advanced antilock brake system comes standard on the Fat Boy®. 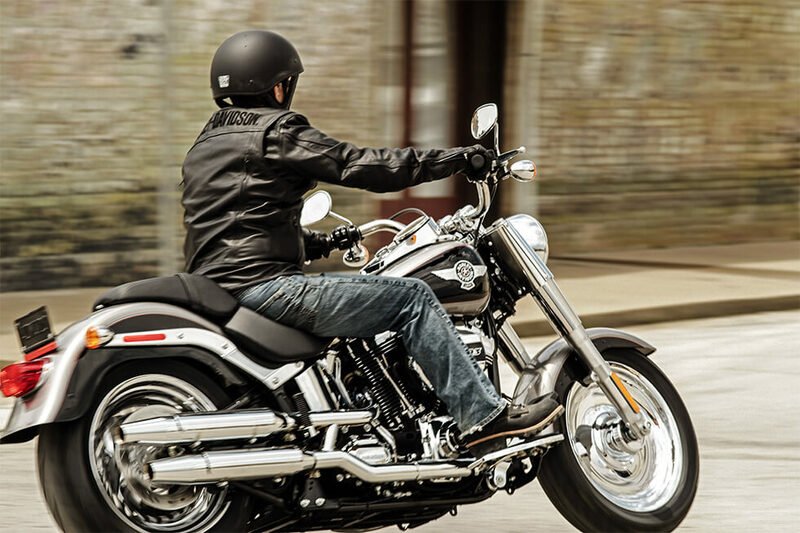 This ABS gives you the confidence you need on slick roads with its all-condition stopping power. Optional H-D® Smart Security System: Want to add some security to your bike? 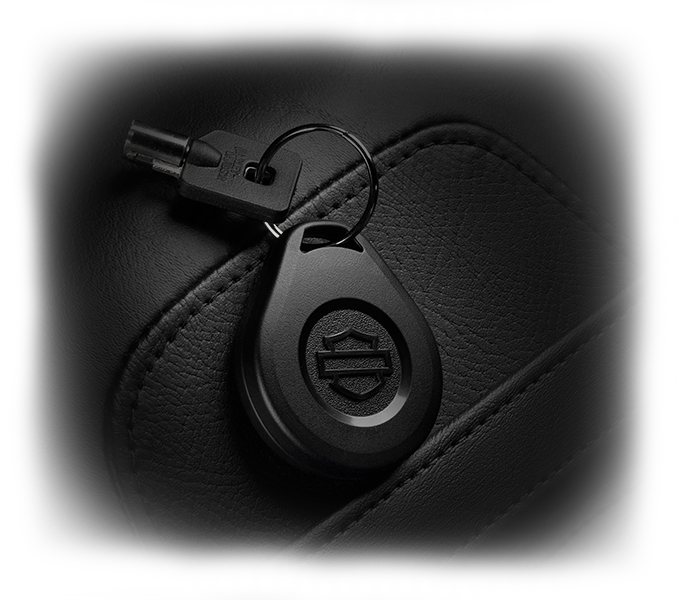 The available H-D® Smart Security System features a wireless key fob that activates or deactivates the system automatically when you leave or approach your bike. 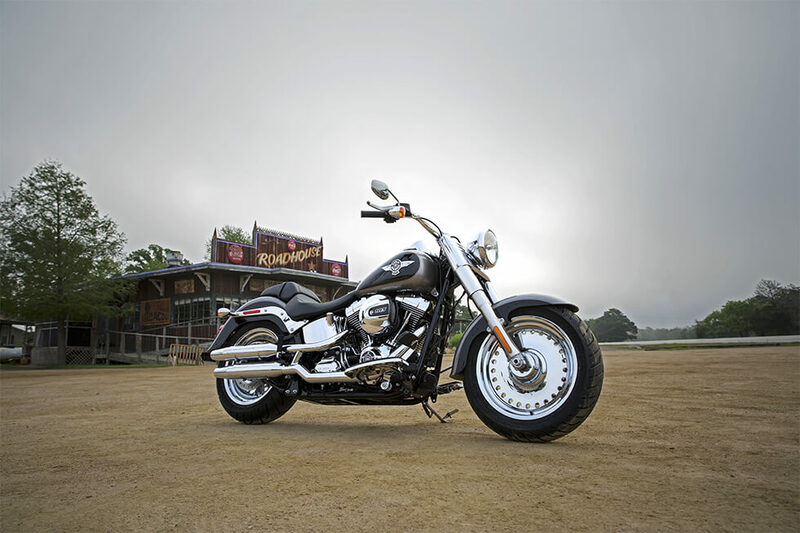 The Fat Boy® commands the road with its big tires, intelligent design features, and powerful braking system. This is a bike that provides responsive handling you can depend on wherever your ride takes you. Fat Dunlop® Tires: This bike is loaded with fat custom style, and the 140mm tire up front and 200mm tire in the back not only add to this style but also provide superior grip and cushion. These are big, high performance tires designed to be as durable and responsive as possible. 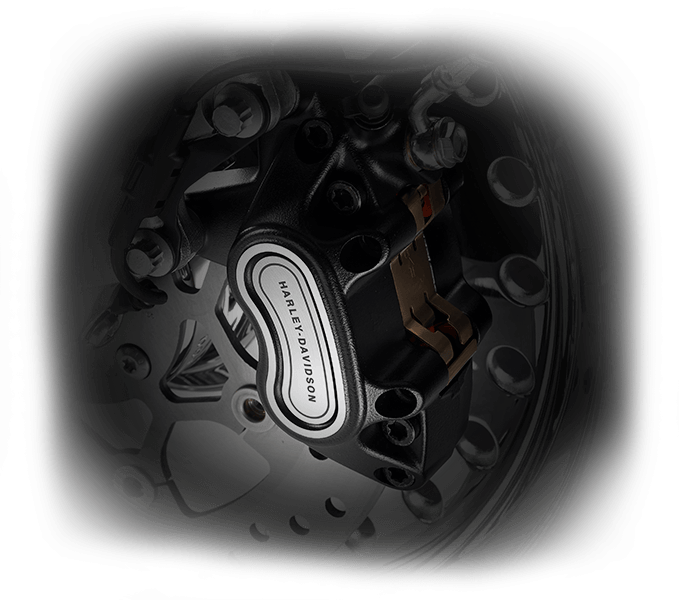 Front Brake System: The new and improved front brake system features larger 32mm and 34mm pistons, a big 300mm rotor, and a new caliper piston coating to reduce initial displacement. It all adds up to better, more reliable stopping power when you need it. New Ergonomically Designed Hand Controls: The ergonomically designed hand controls make it easier than ever to operate necessary systems while providing a comfortable and relaxed feel on even the longest rides. New Electronic Throttle Control: The electronic throttle control is a convenient feature that also keeps the handlebar looking clean and uncluttered. If you want all day comfort for you and your passenger, then you’ll be excited about the smart comfort features you’ll find on the Fat Boy®. Low Profile Chrome Handlebars: Big, low profile, 1-1/4-inch chrome bars fit right in with the fat custom style of this throwback chopper. It showcases a bold and clean design due to the internal routing that keeps the clutter of wires safely hidden. 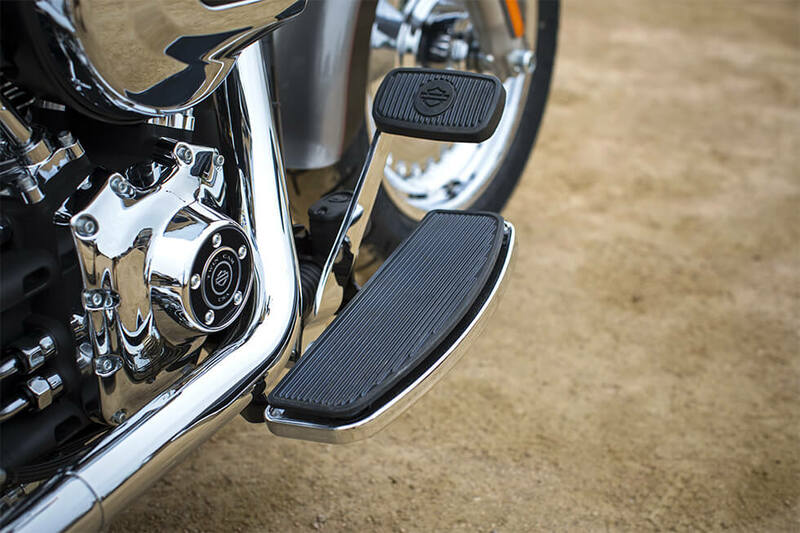 Full-Length Rider Footboards: You’ll be able to settle in and stretch out into a comfortable riding position with the standard full length floorboards. They add convenience along with that pure vintage look. Narrow Seat: The low, slim seat benefits from an ergonomic design that looks sharp and provides plenty of comfort and support for the long haul. 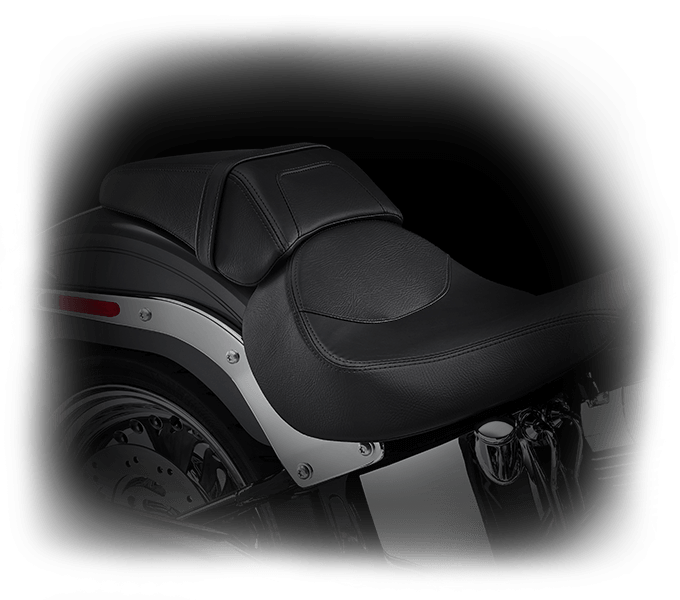 Convertible Two-Piece Seat: The two-piece seat features a removable pillion so you can easily convert it from a two-up seat to a solo seat. 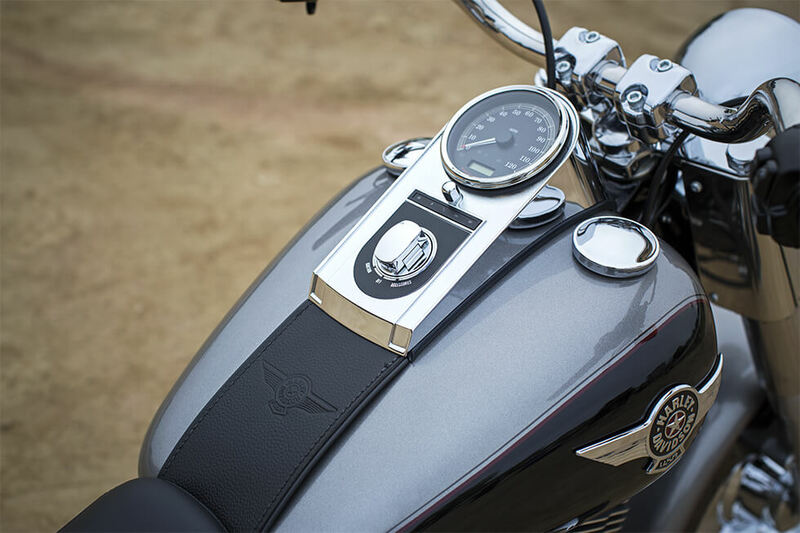 The chrome bullet-studded seat valance is a distinctive, classic touch fitting the overall custom chopper style of the Fat Boy®.